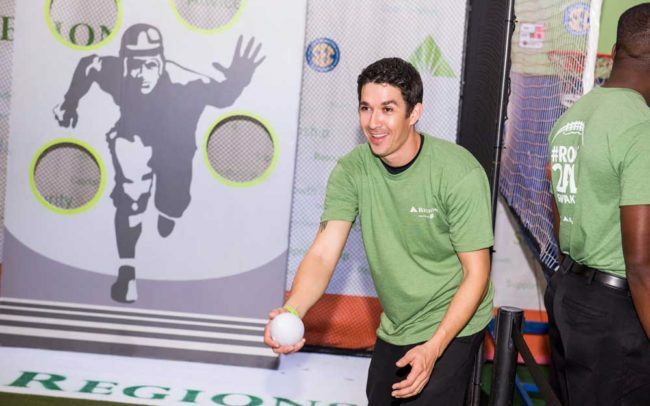 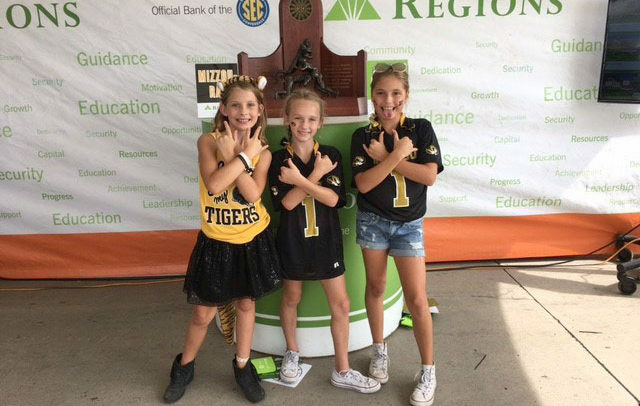 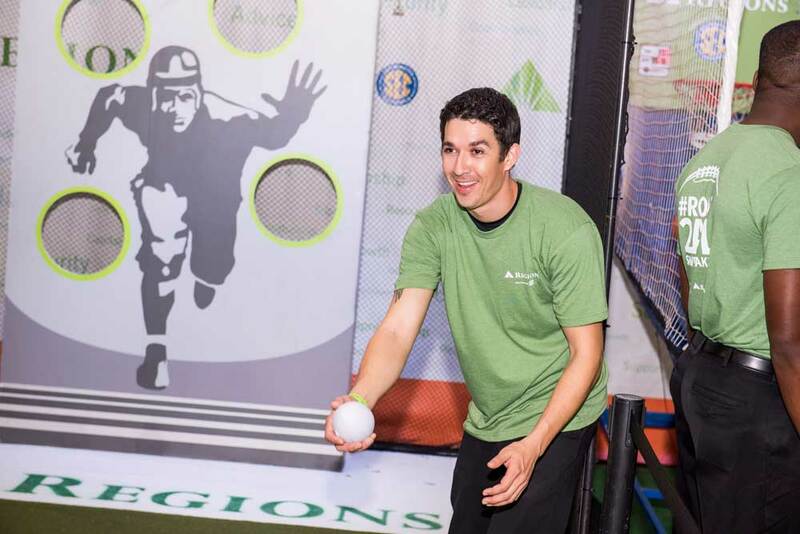 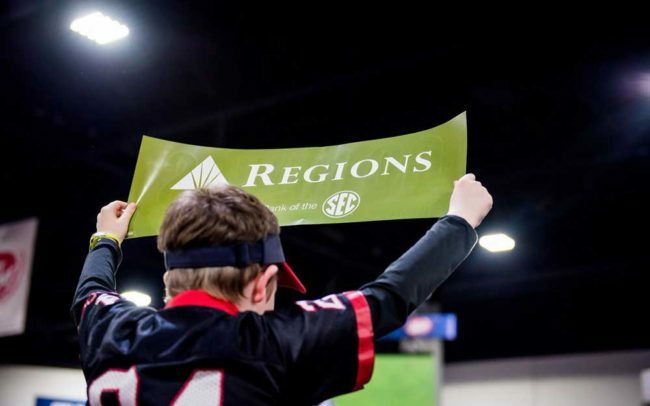 Regions Bank, the Official Bank of the Southeastern Conference continued their relationship with the conference and the ESPN SEC Network this past fall as we toured & activated throughout the SEC campuses. 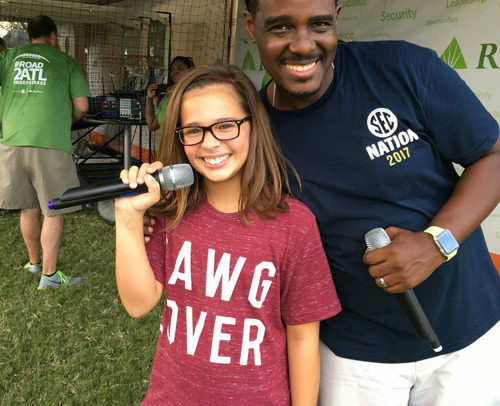 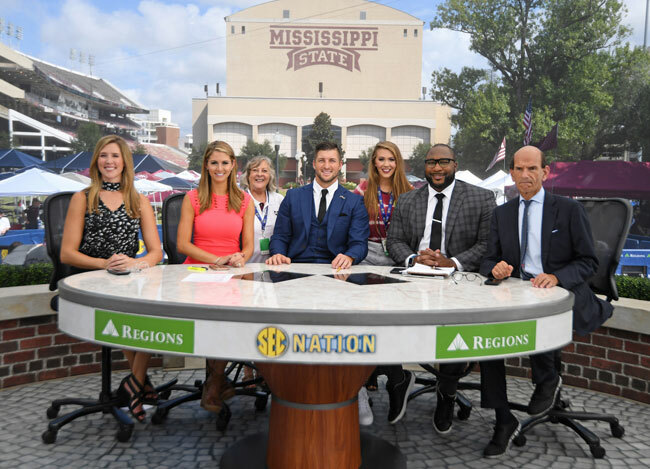 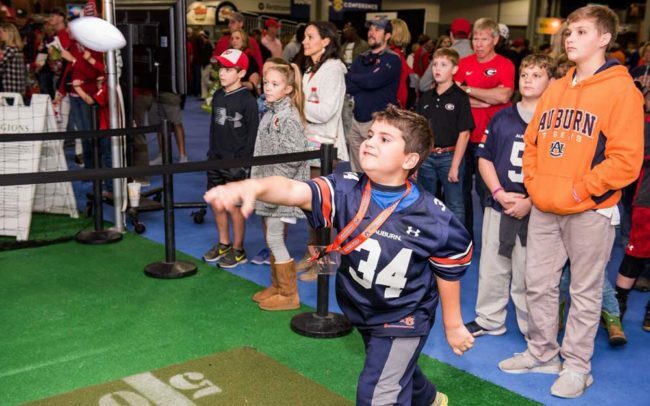 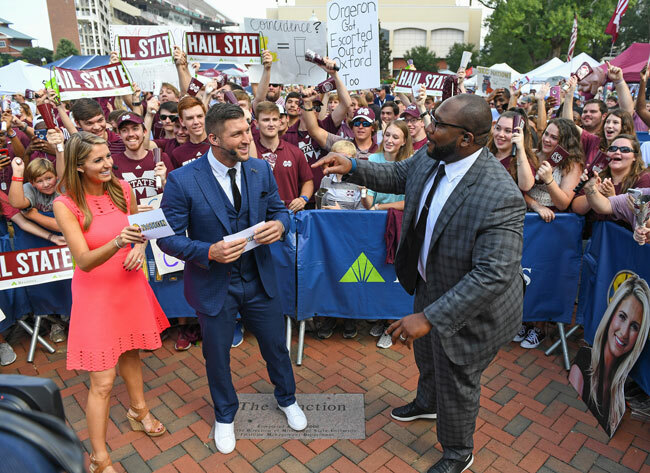 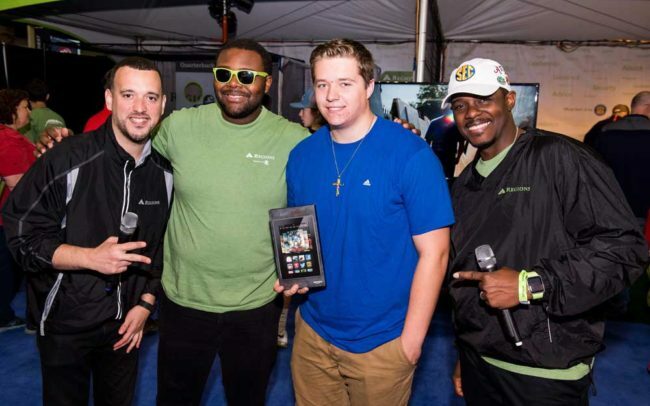 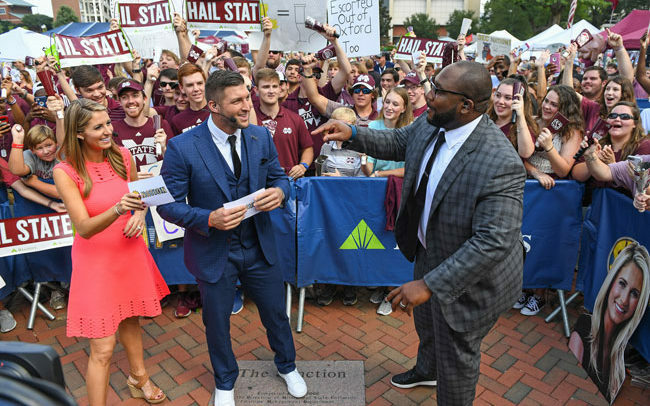 DDK Productions produced both the on-site activations each Saturday morning during the live broadcast of SEC Nation and at the large tent display footprint later in the day. 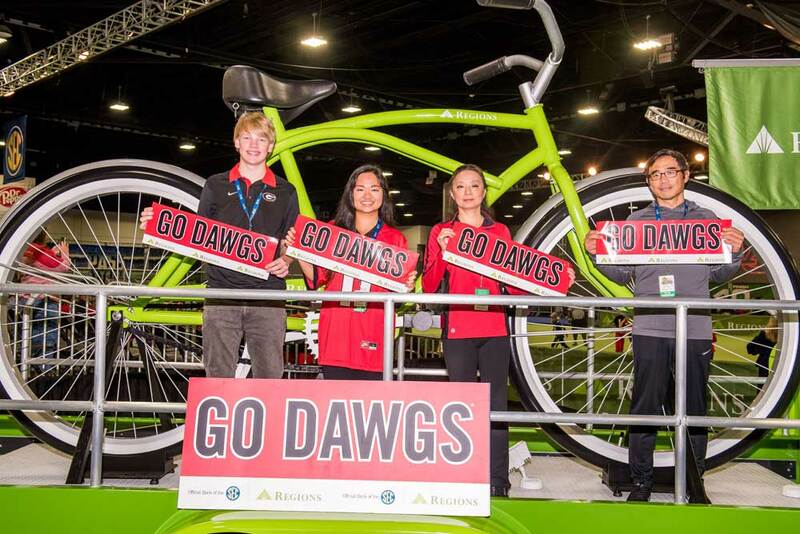 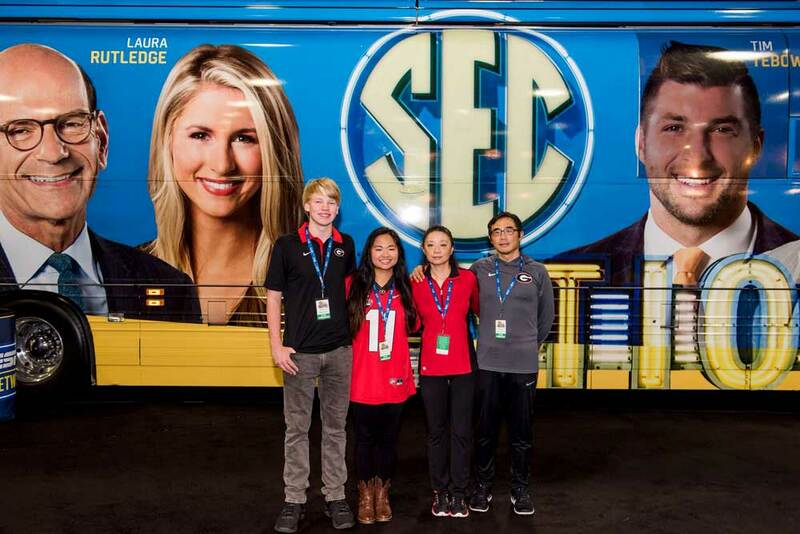 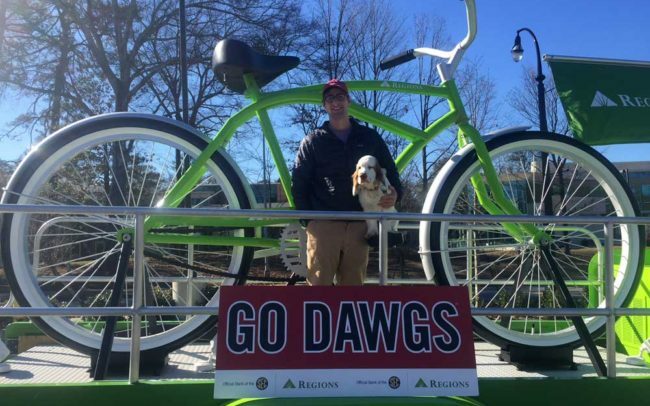 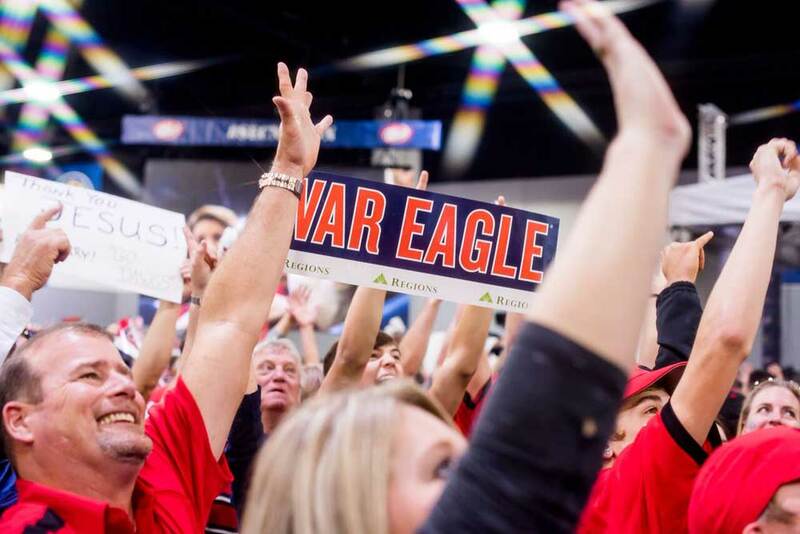 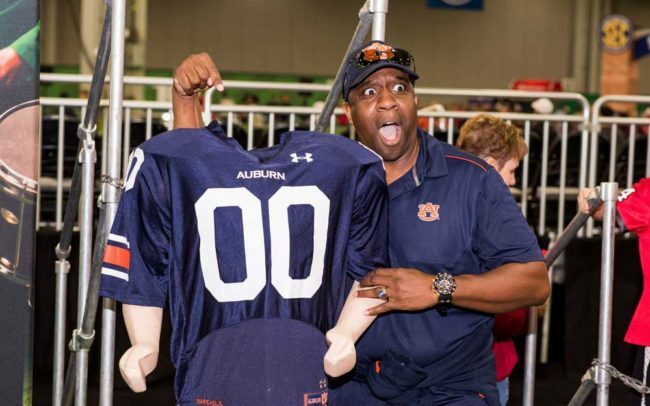 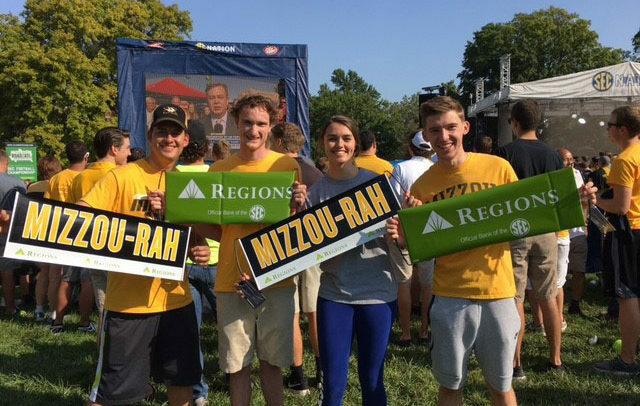 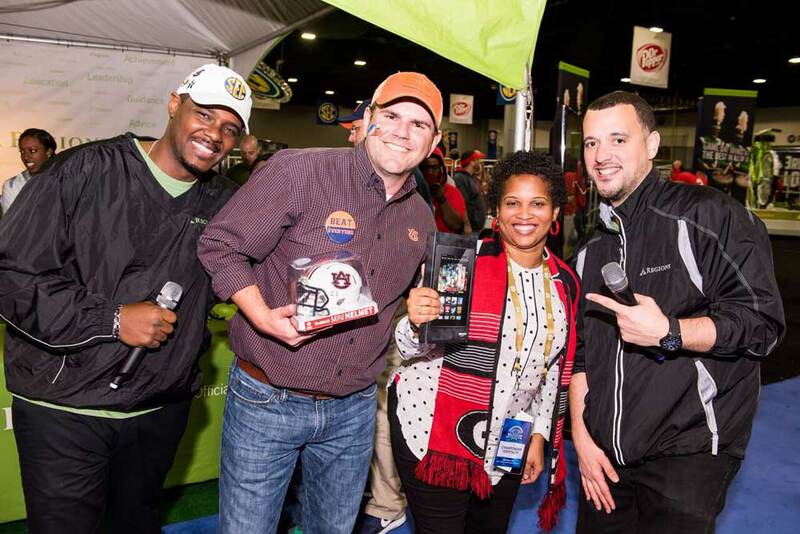 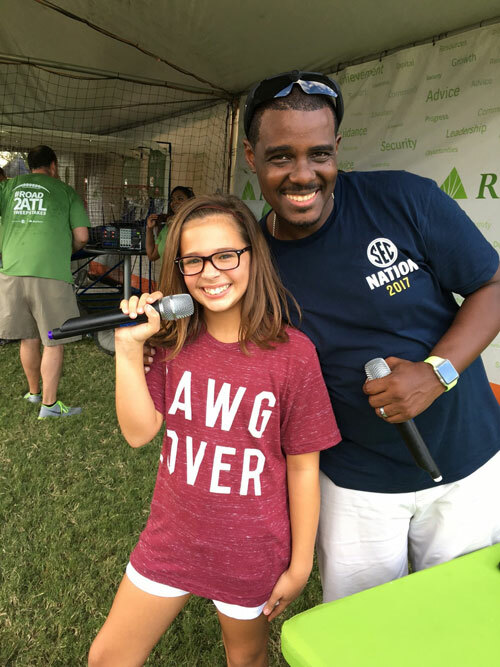 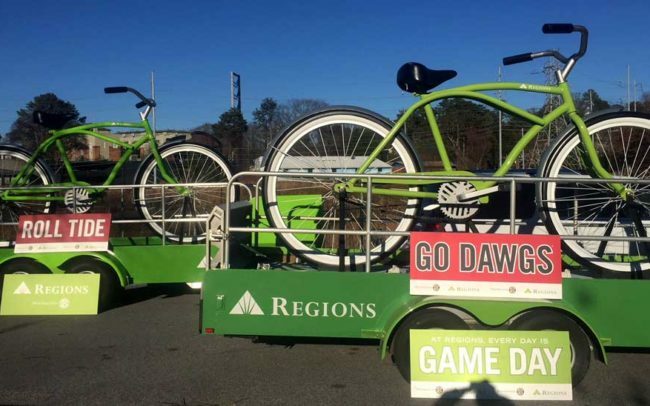 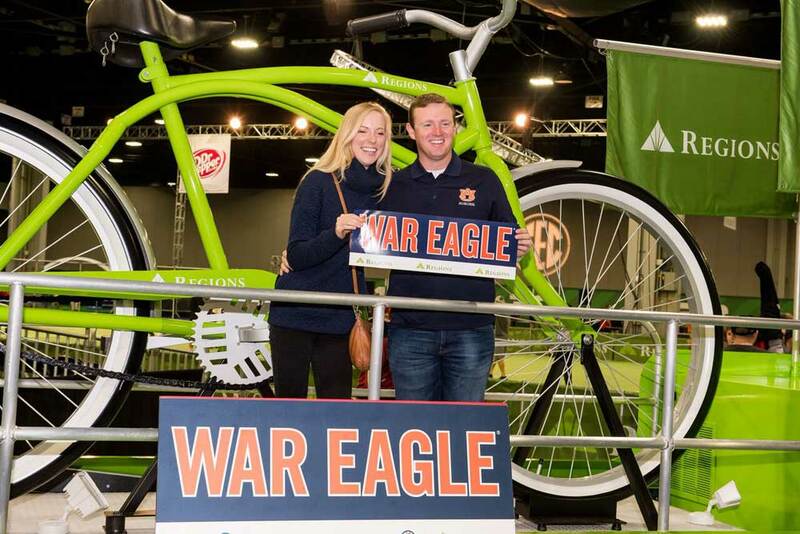 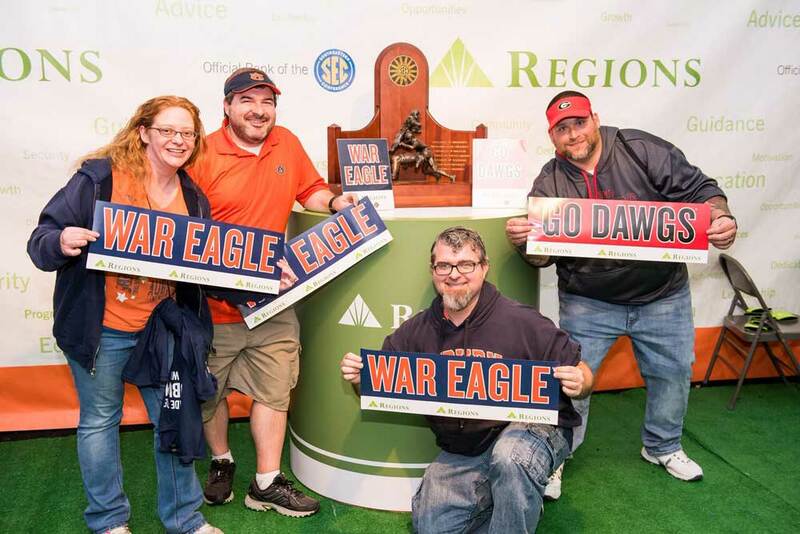 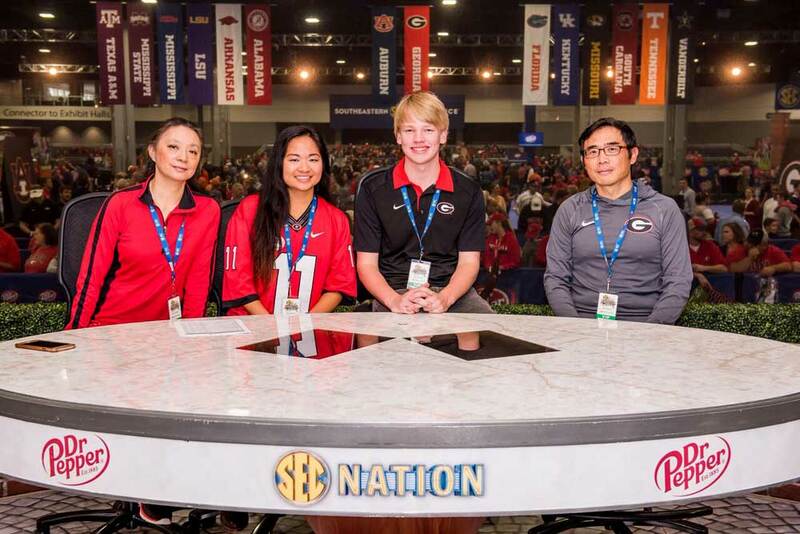 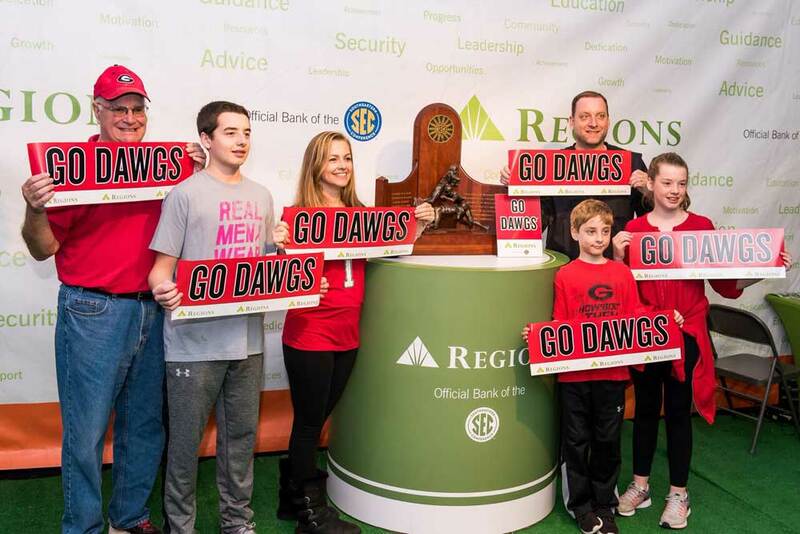 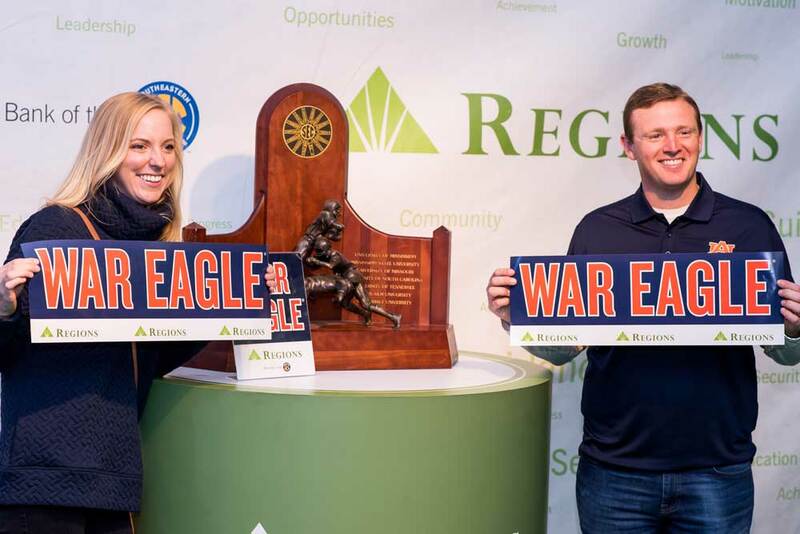 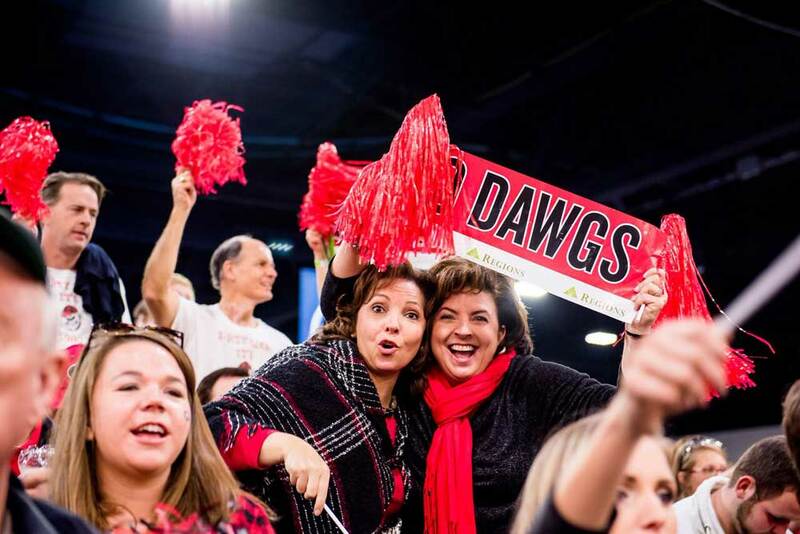 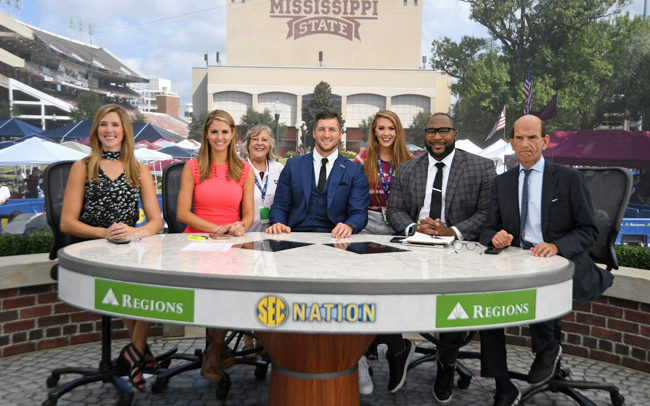 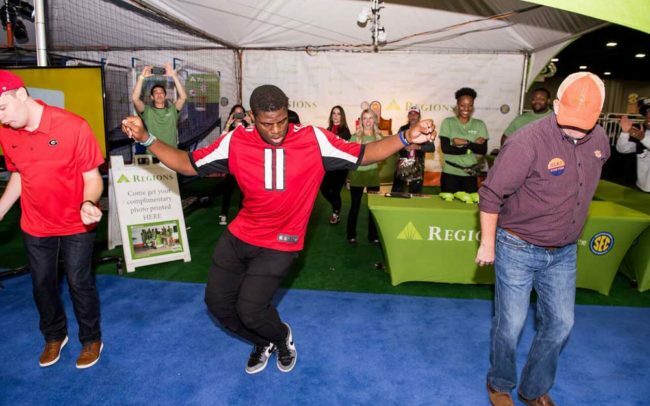 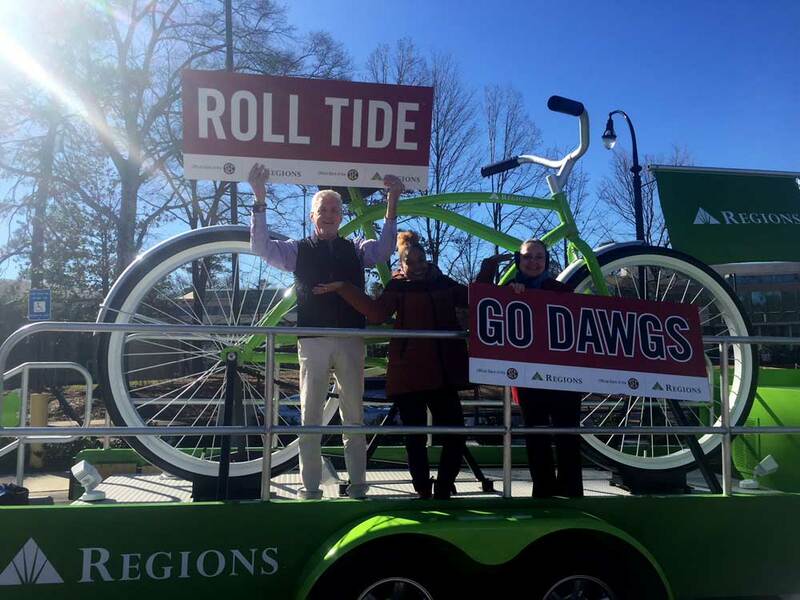 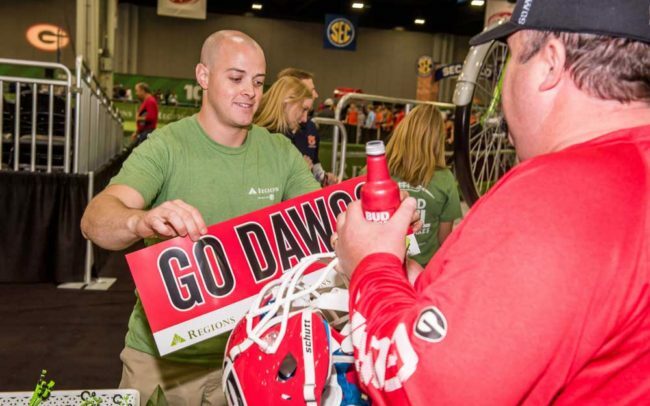 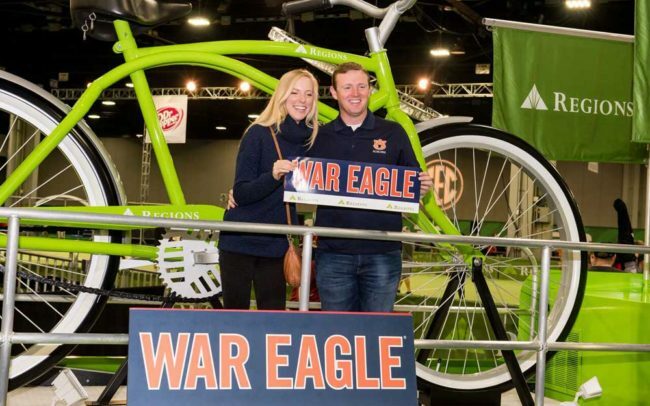 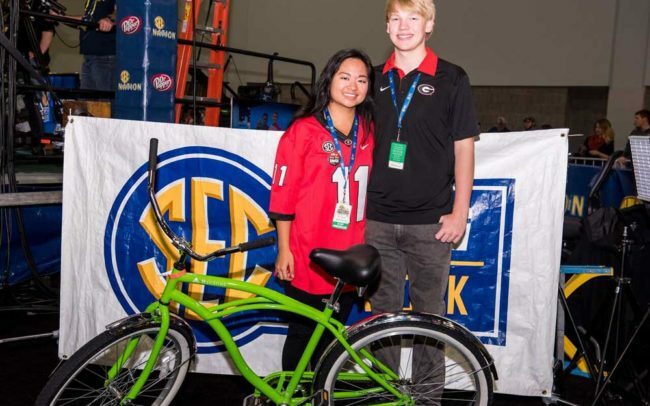 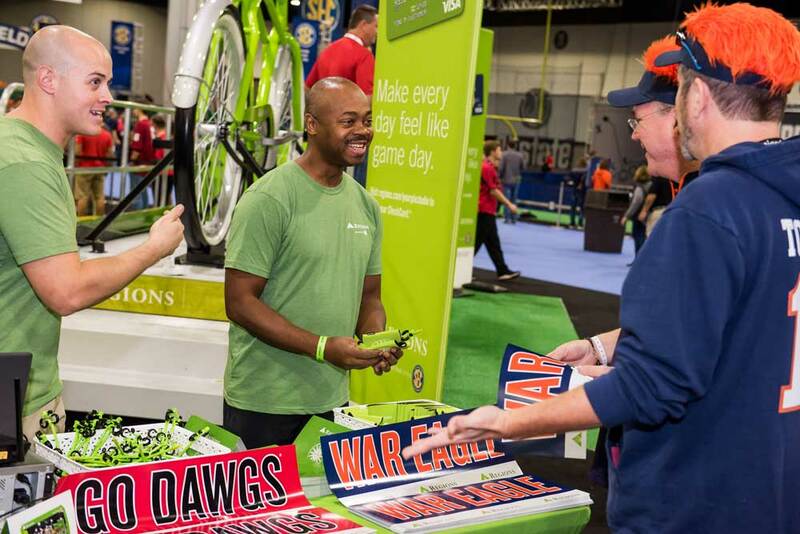 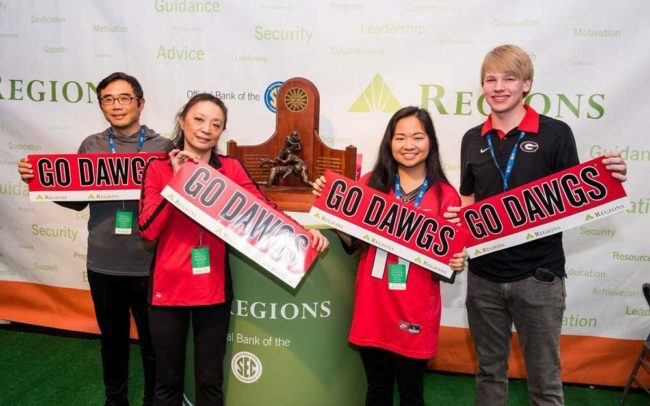 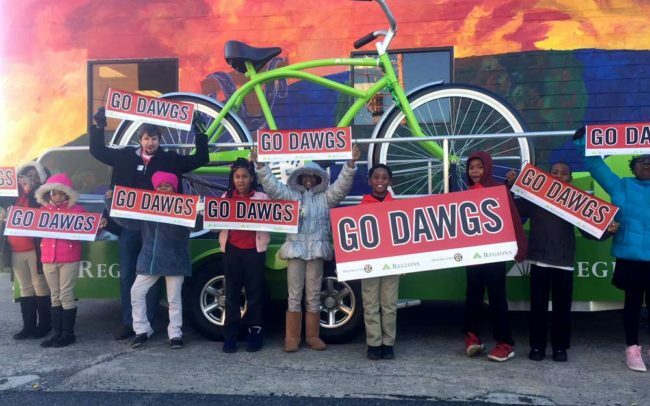 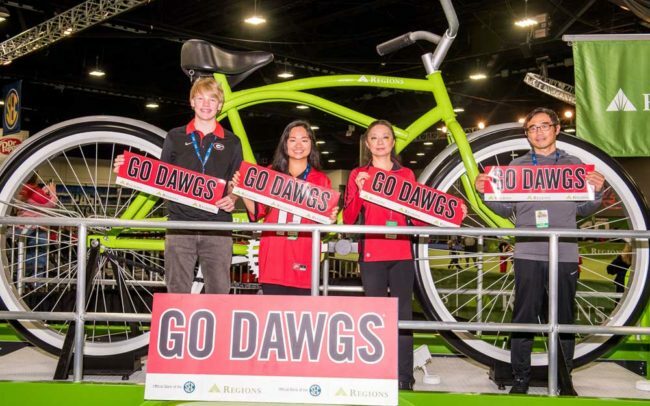 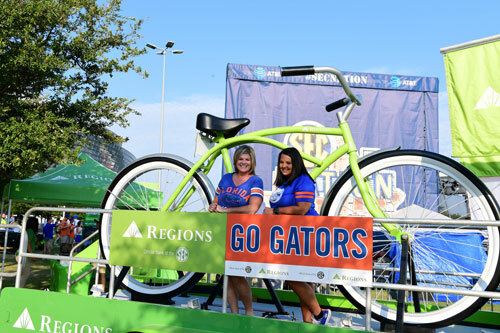 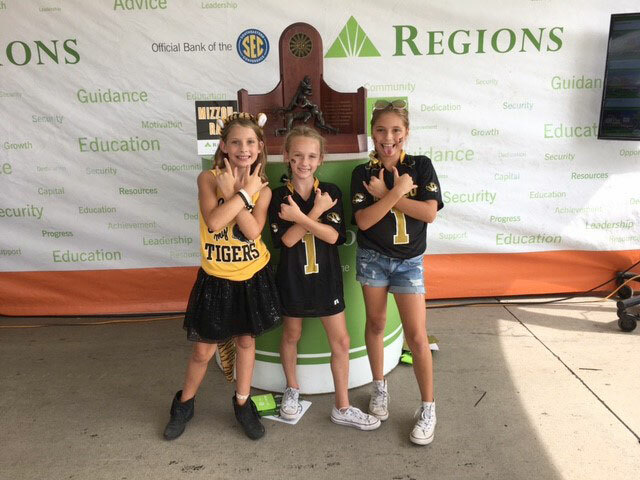 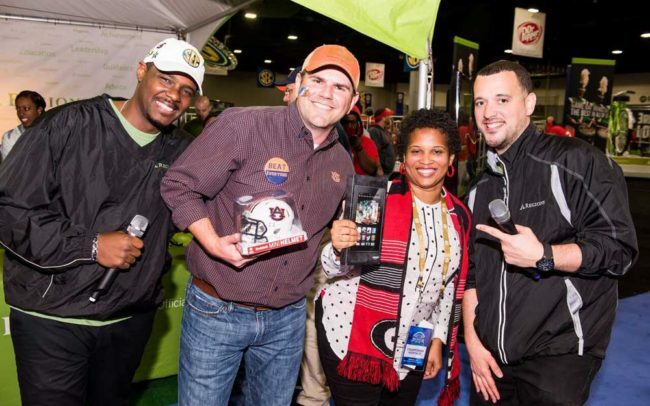 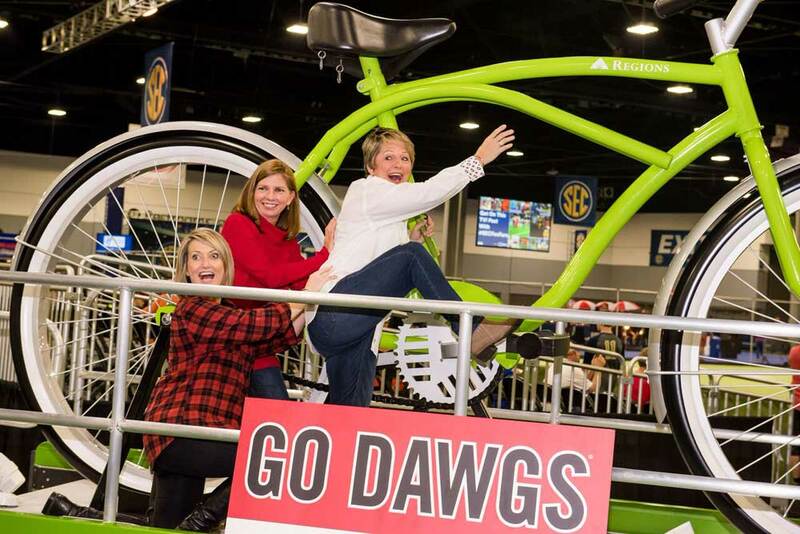 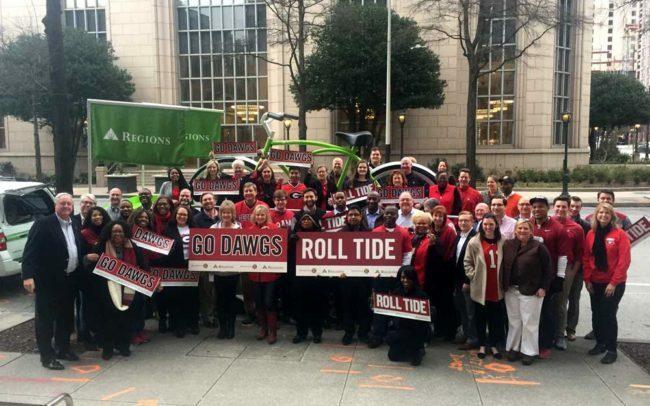 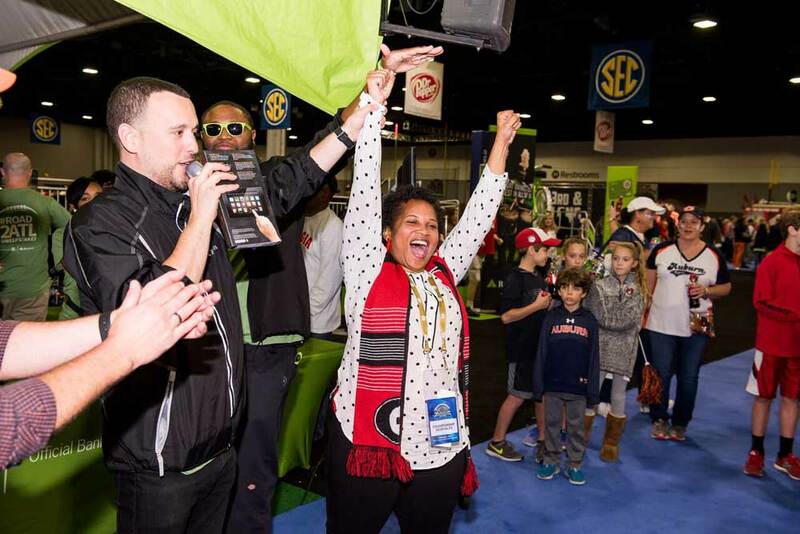 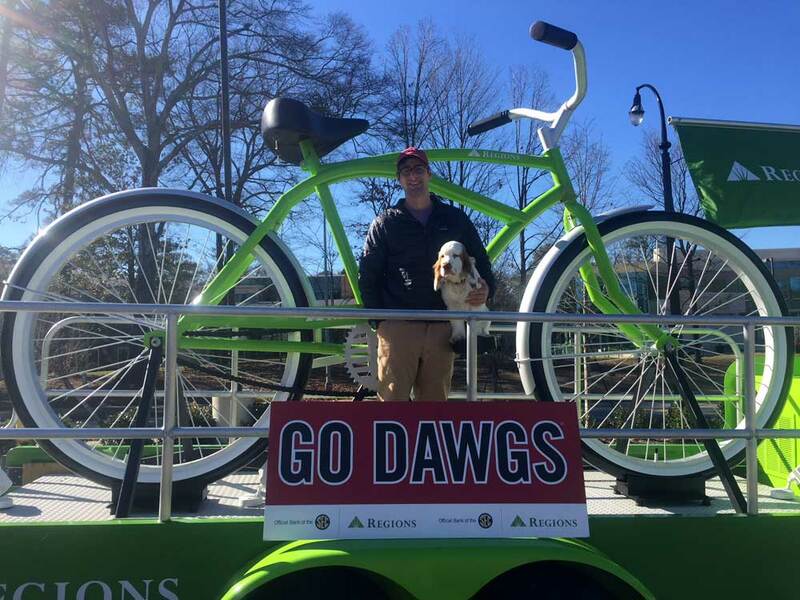 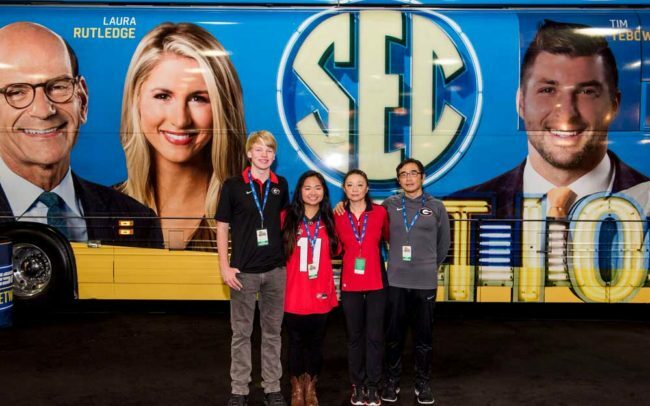 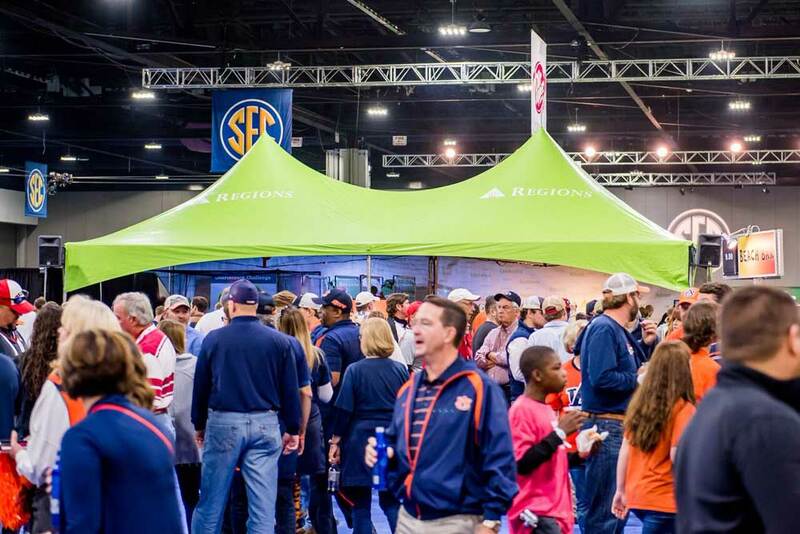 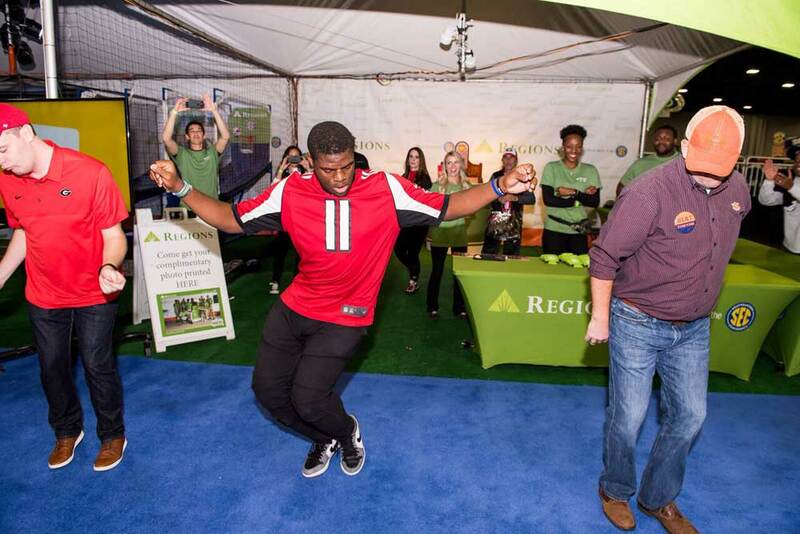 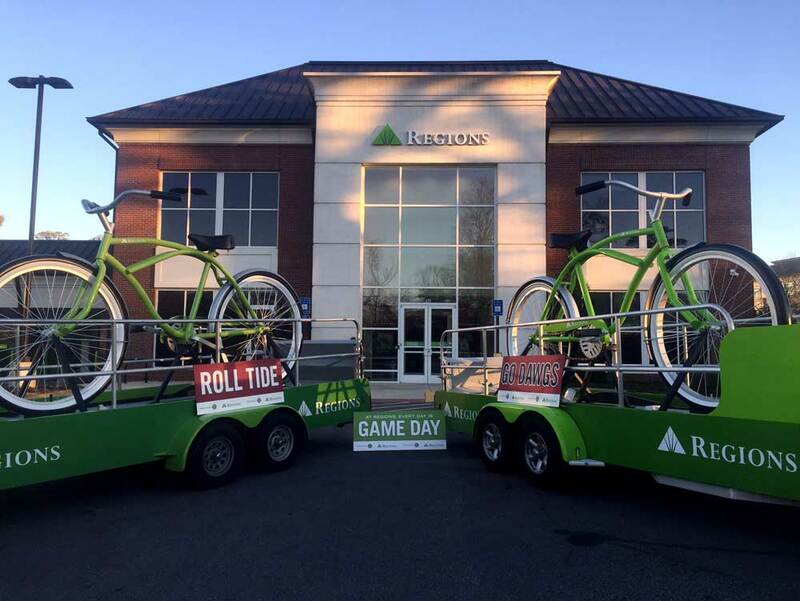 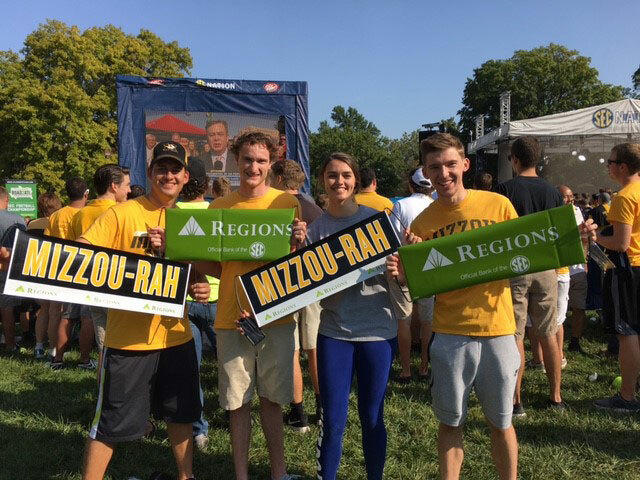 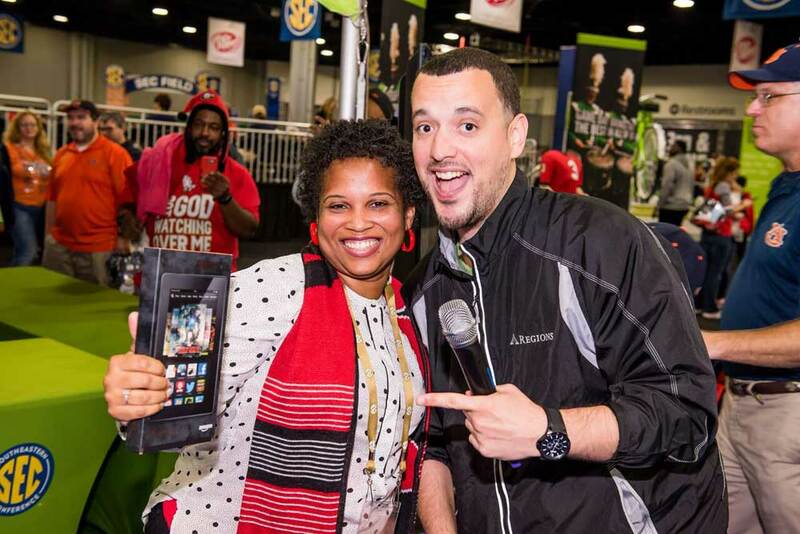 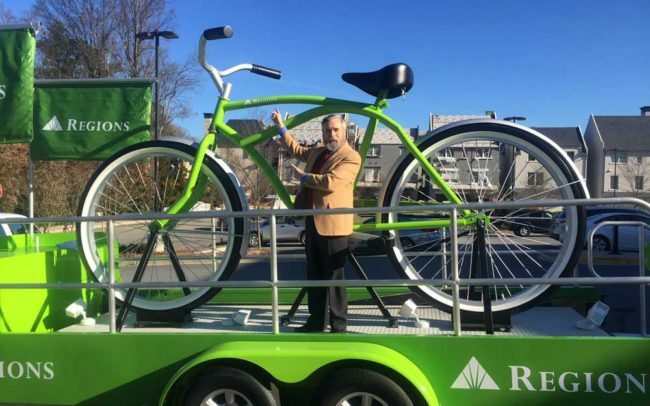 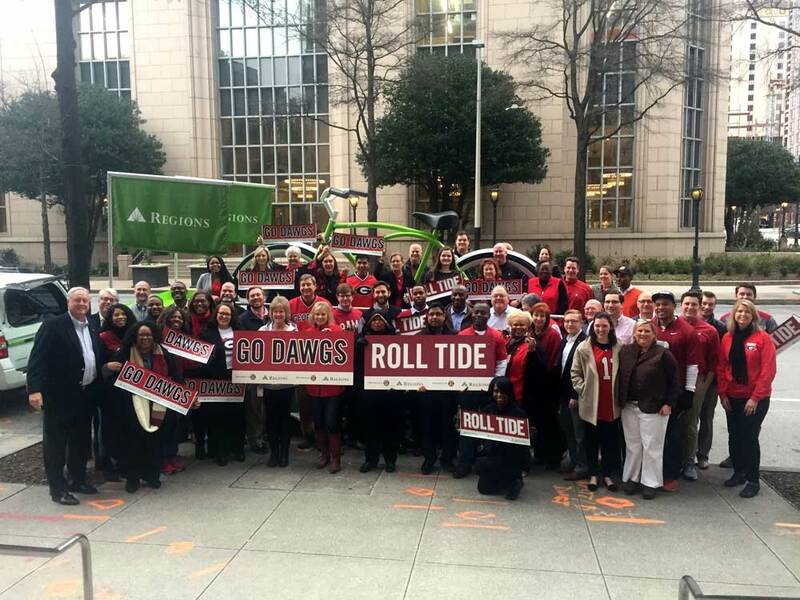 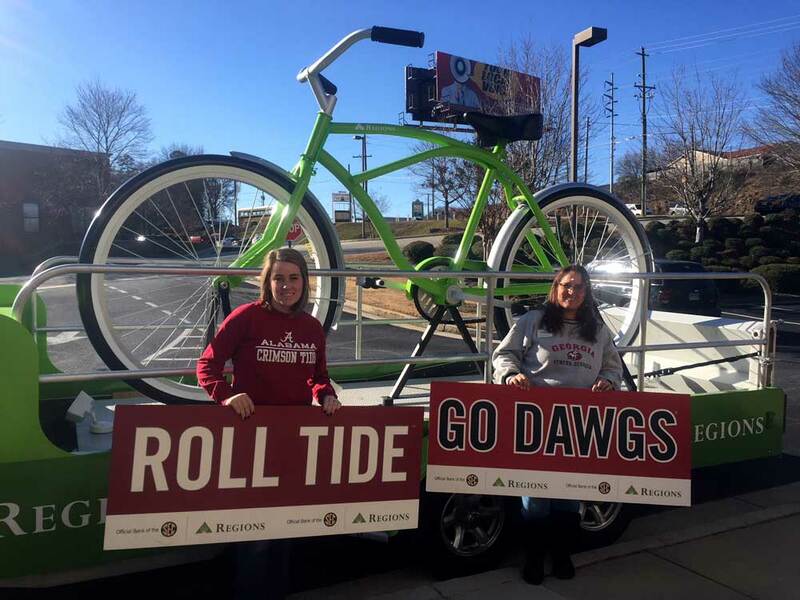 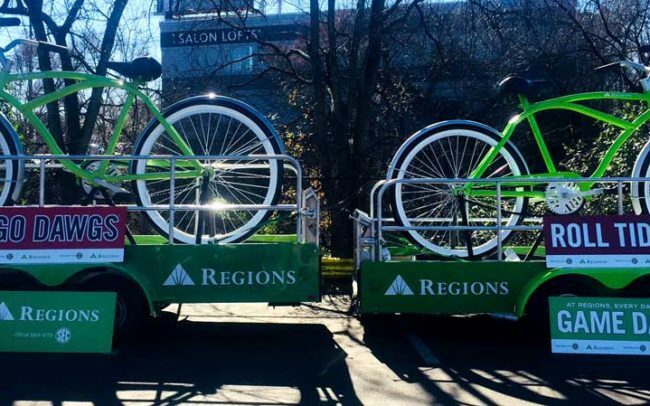 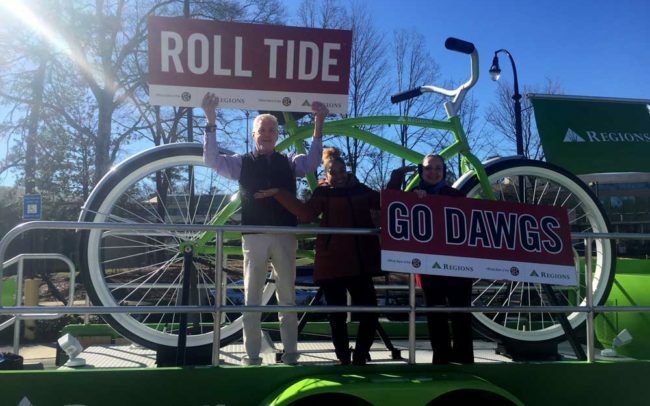 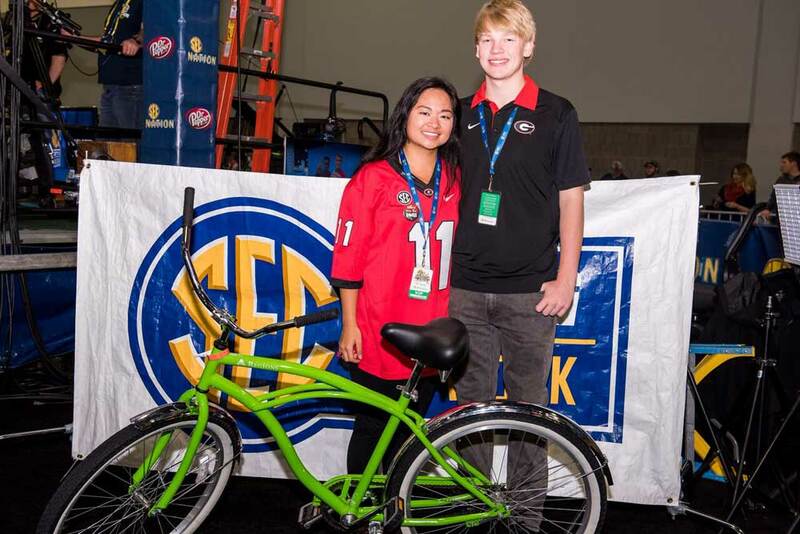 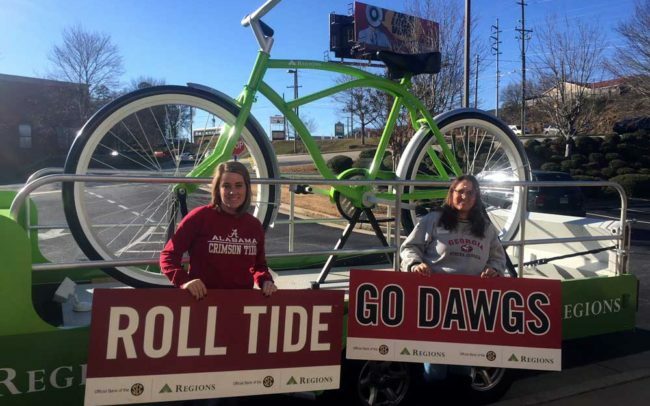 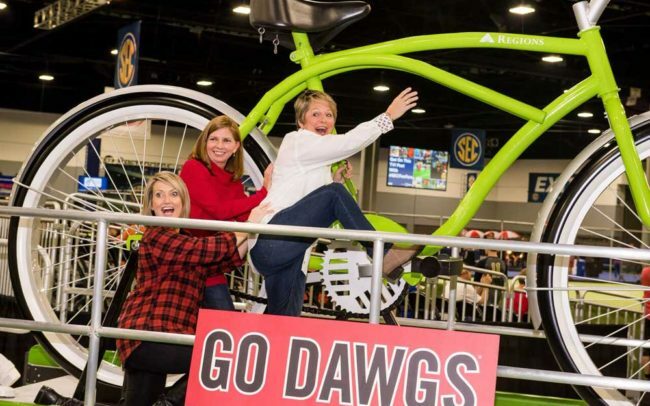 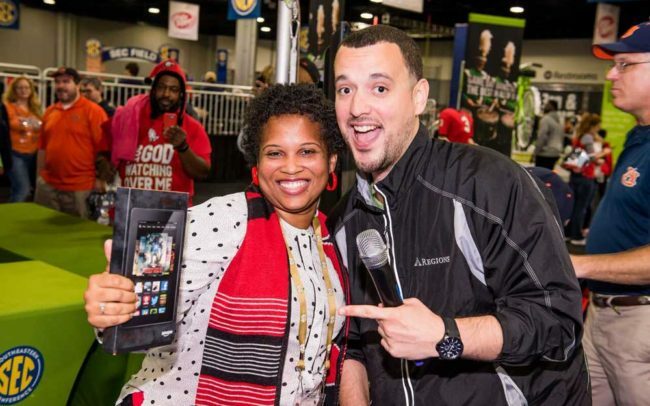 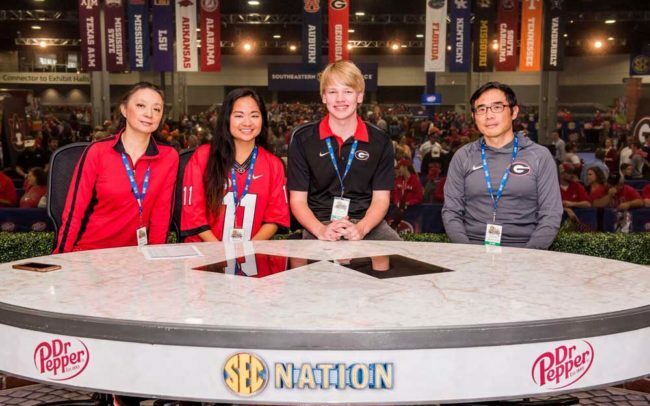 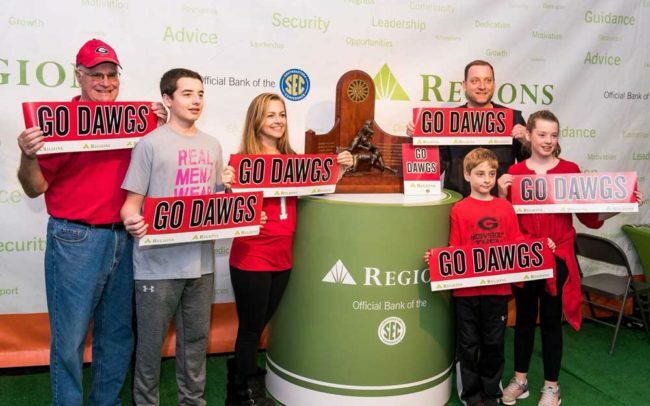 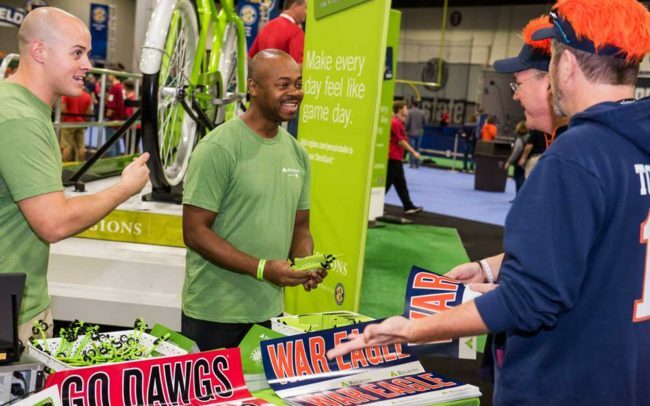 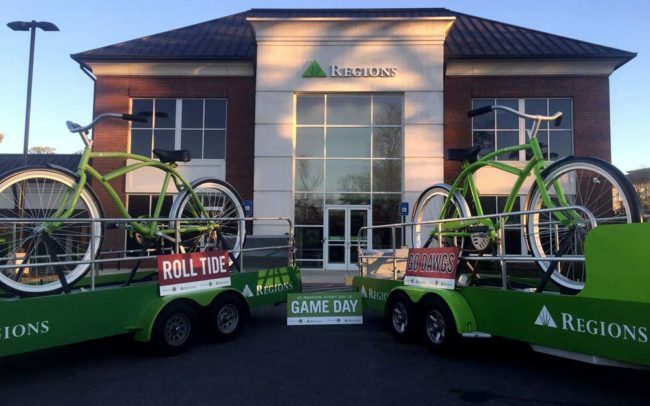 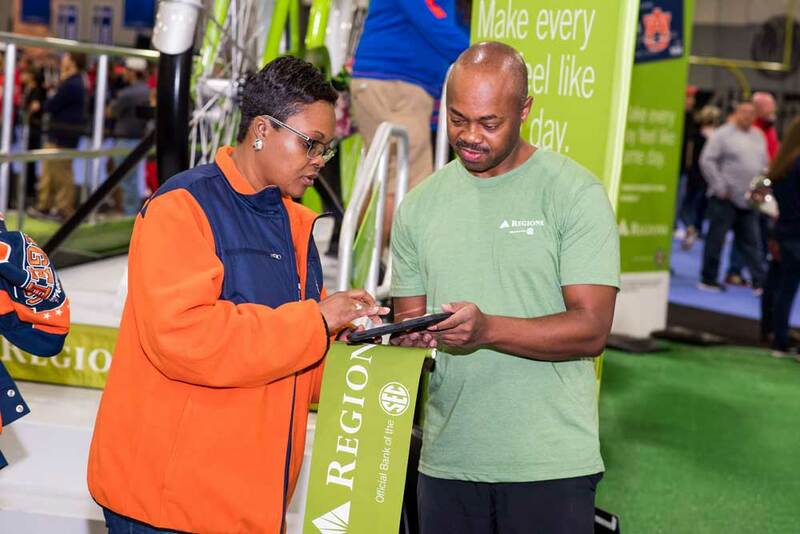 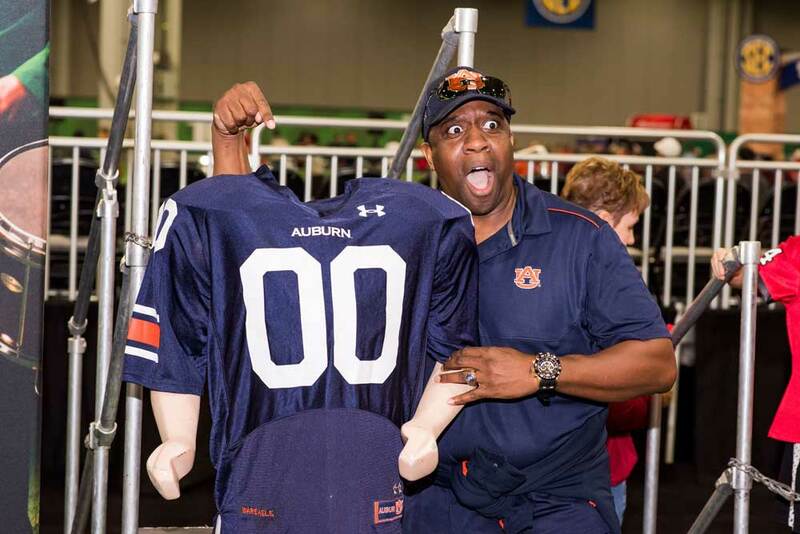 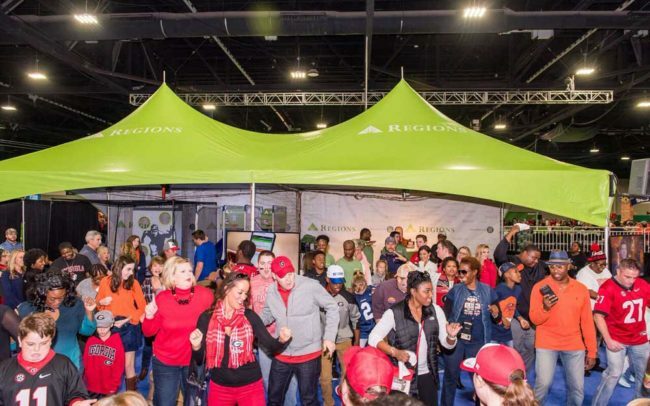 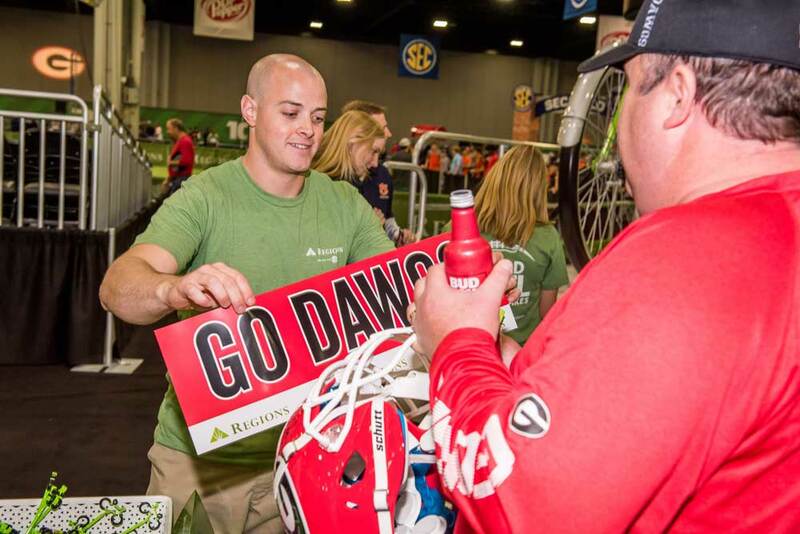 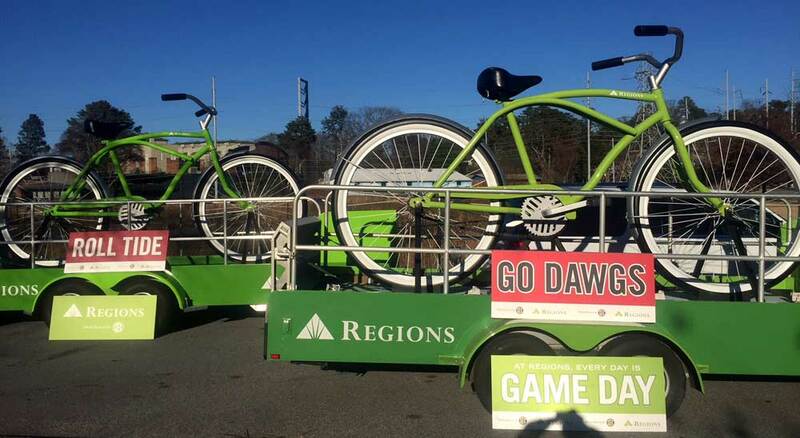 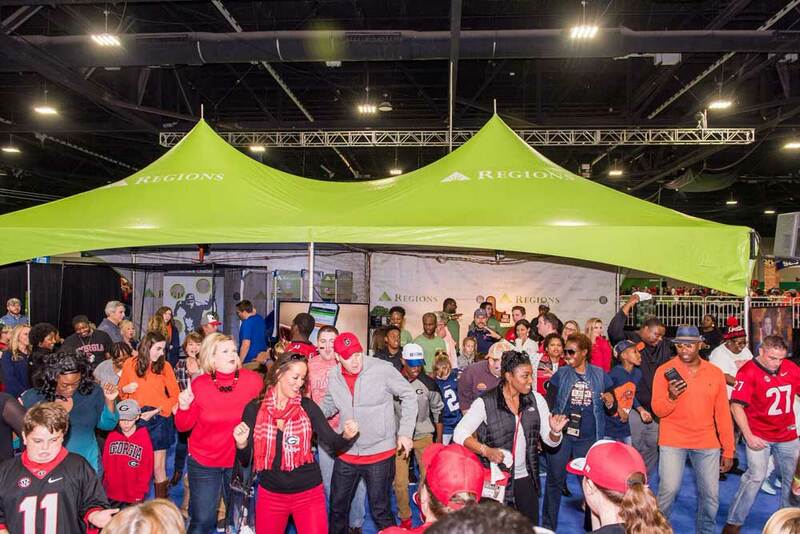 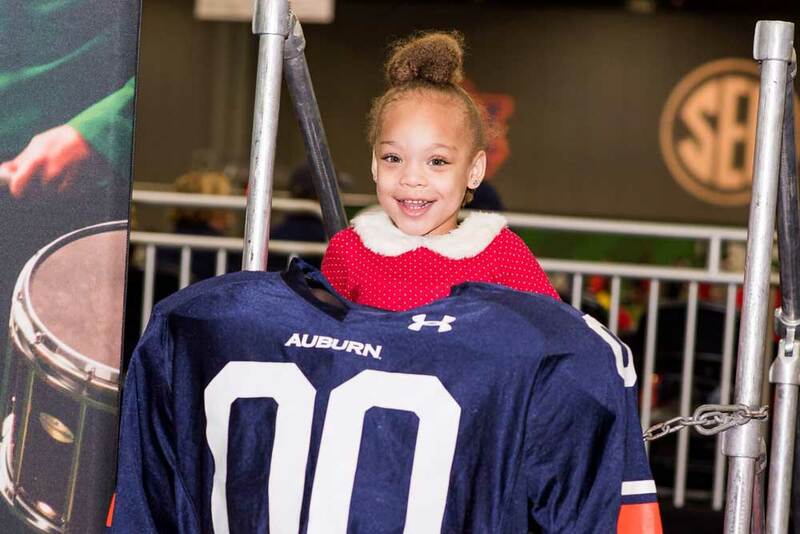 The SEC Nation activation centered around photo opportunities with the Regions Big Bike & a sweepstakes prize trip to the 2017 SEC Championship Game in Atlanta, courtesy of Regions. 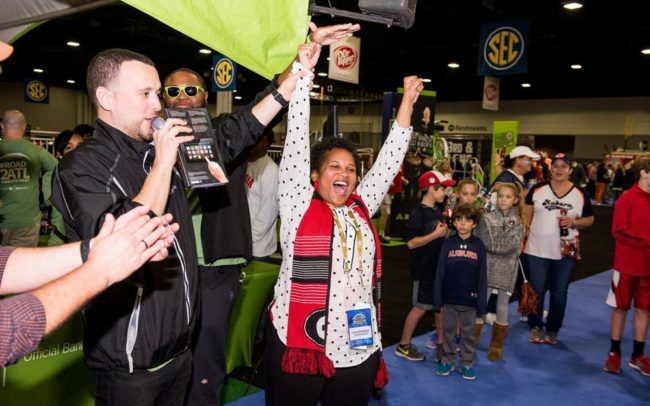 The sweepstakes garnered a record 200,000 entries. 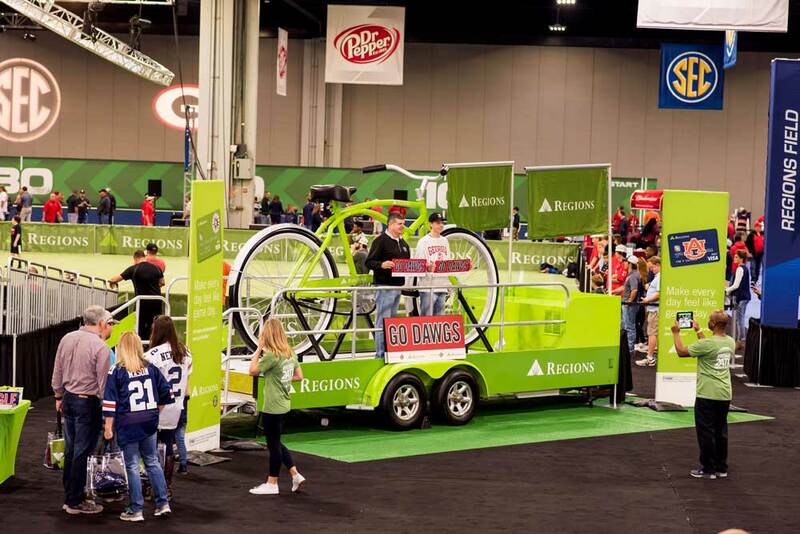 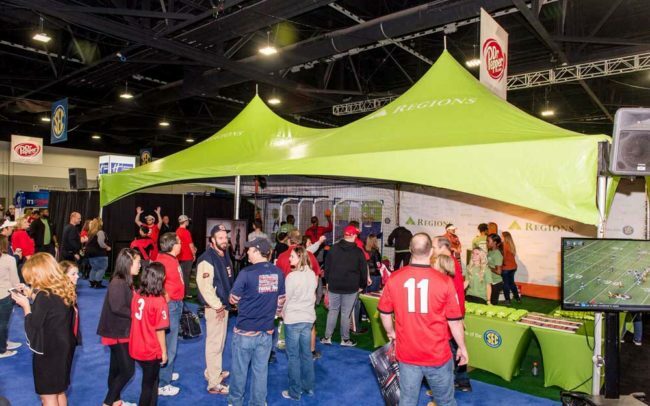 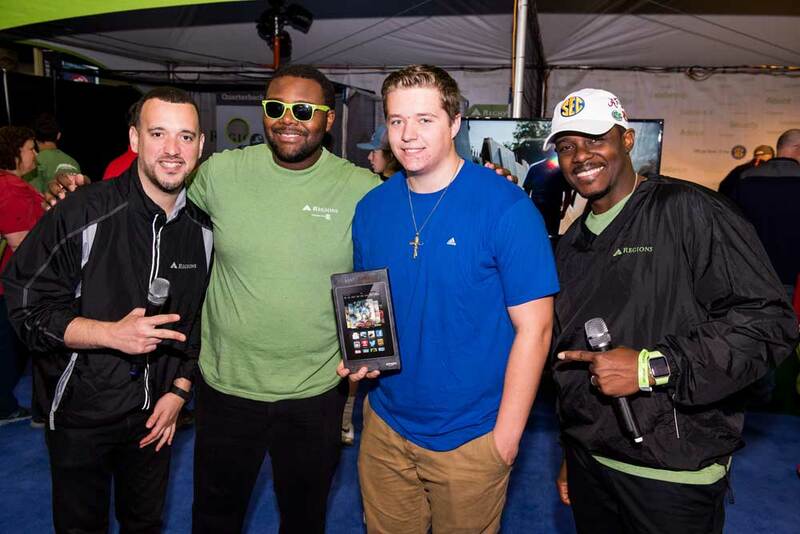 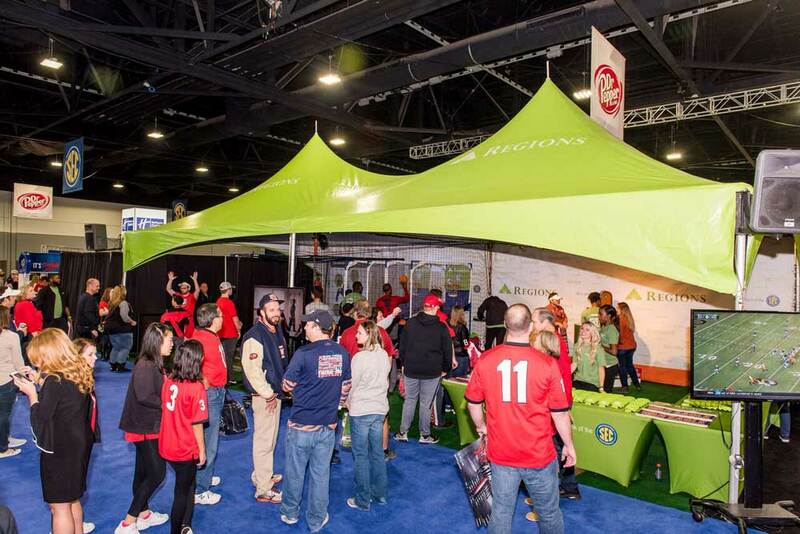 As kickoff time approaches, Regions capitalizes on its school partnerships and activates using our mobile, tent display. 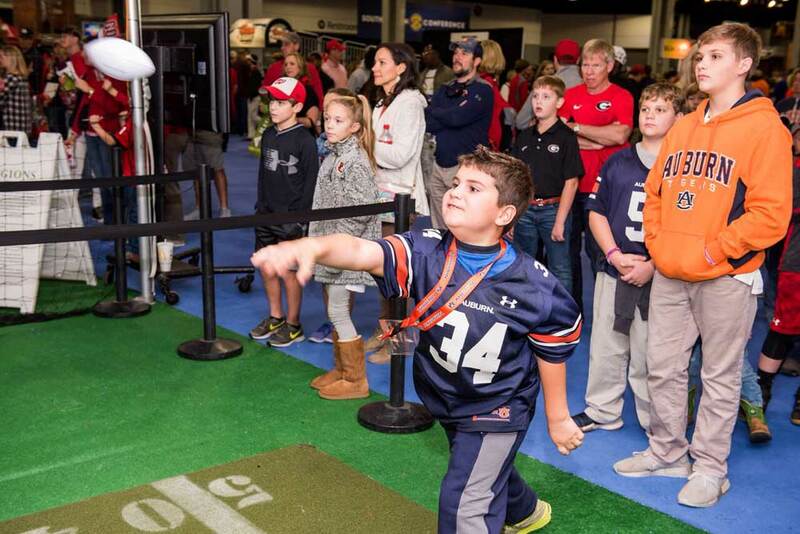 The experience includes interactive games, photo opportunities with the SEC Replica Trophy, sweeps entries and much more. 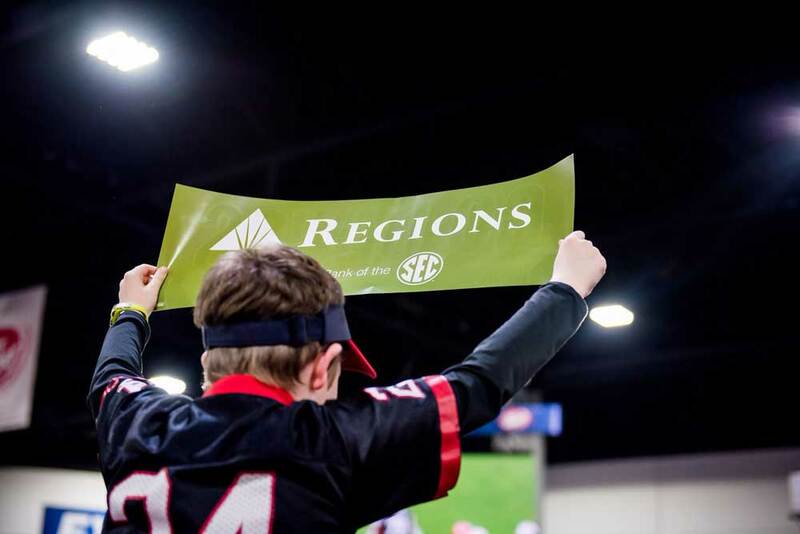 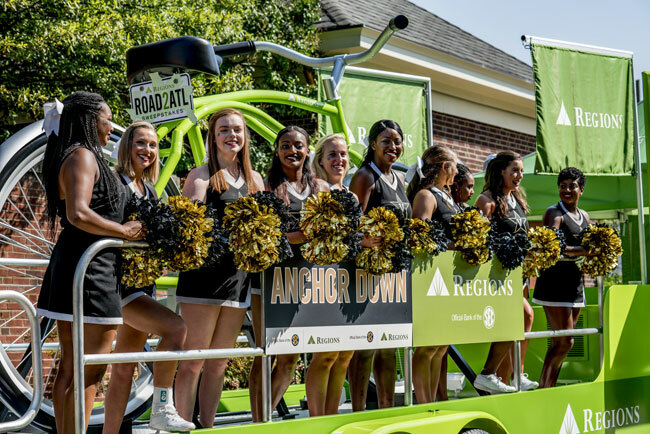 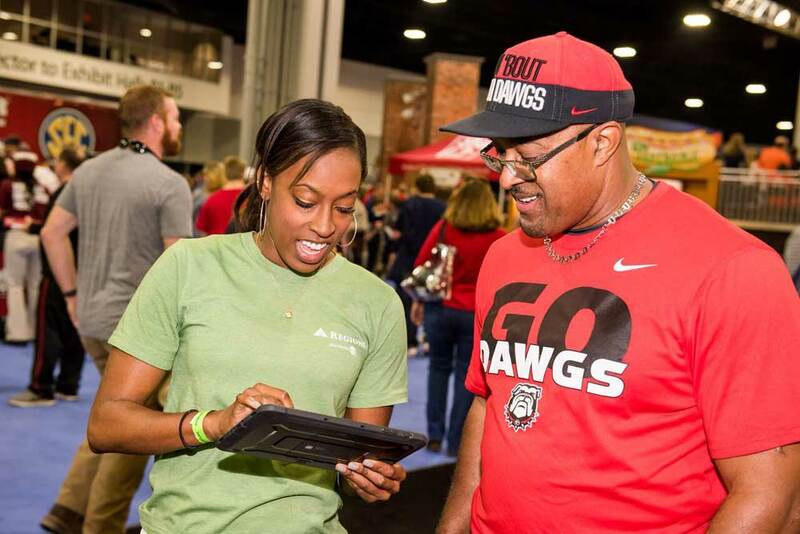 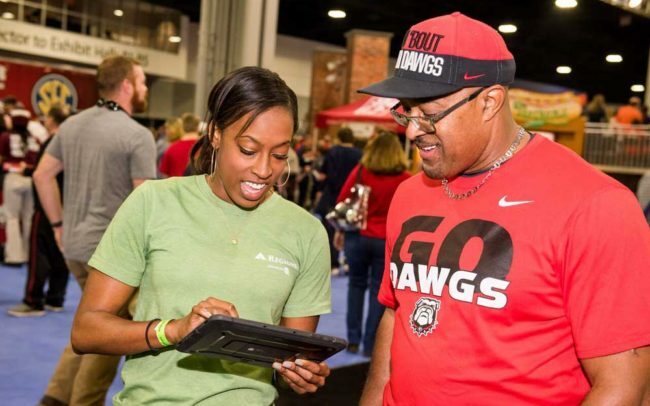 Having a presence on these campuses each Saturday, leading up to kickoff at college football games, aligns with Regions’ footprint of business throughout the South and provides a great opportunity to bring brand affinity to college football fans in a fun, engaging way. 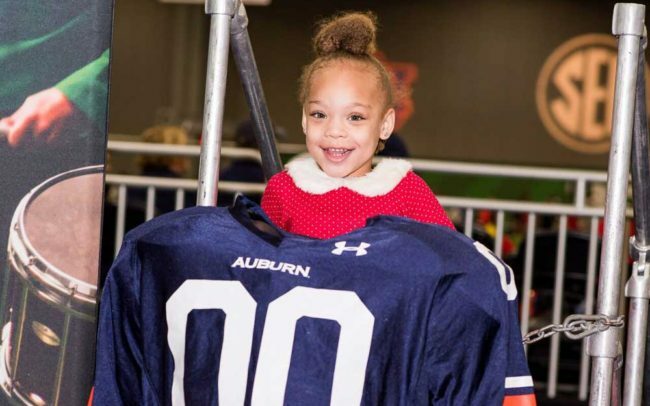 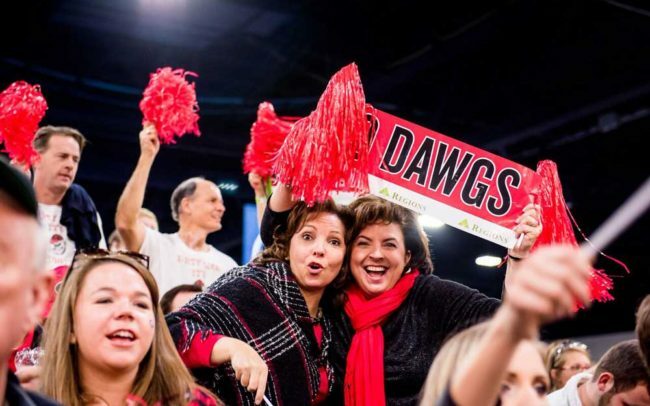 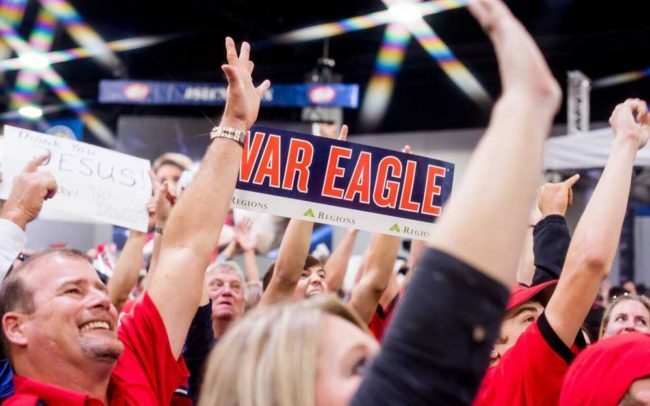 The 2017 SEC Championship pitted a first-time match-up between the “Oldest Game on the Plains” schools the Georgia Bulldogs & The Auburn Tigers with the Bulldogs prevailing and advancing into the College Football Playoff. 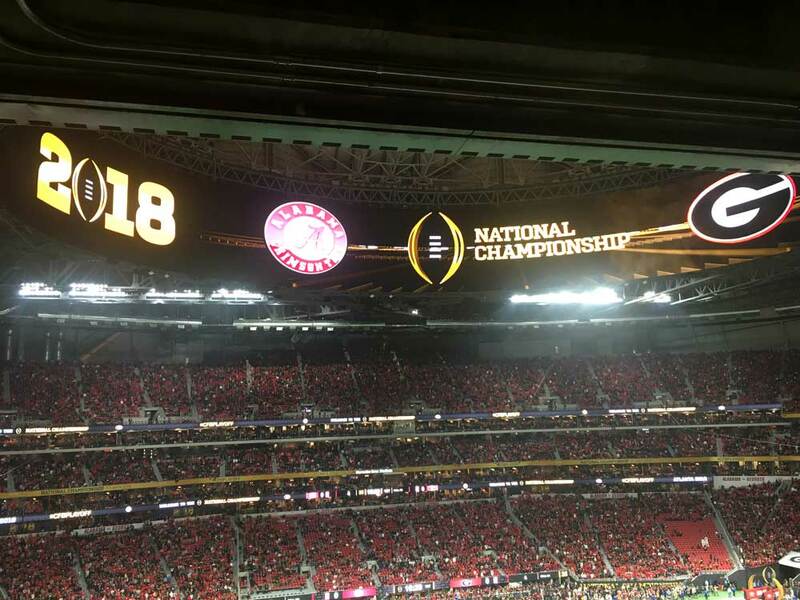 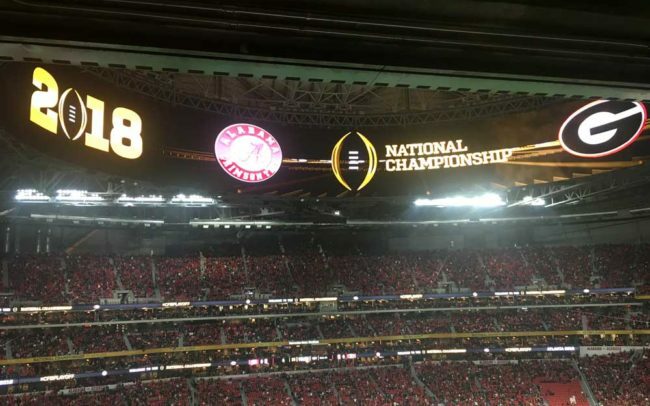 The CFP final was an All-SEC match up between Georgia & Alabama. 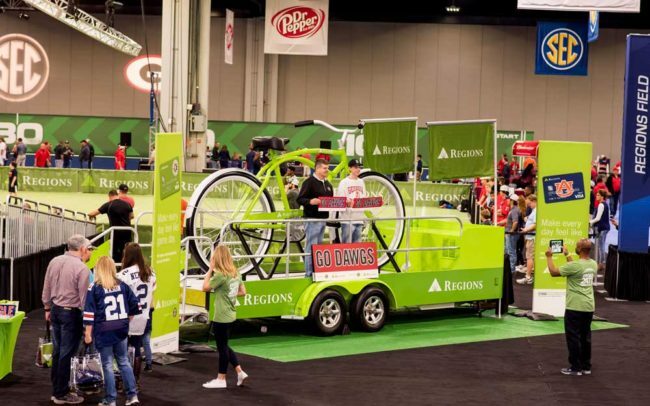 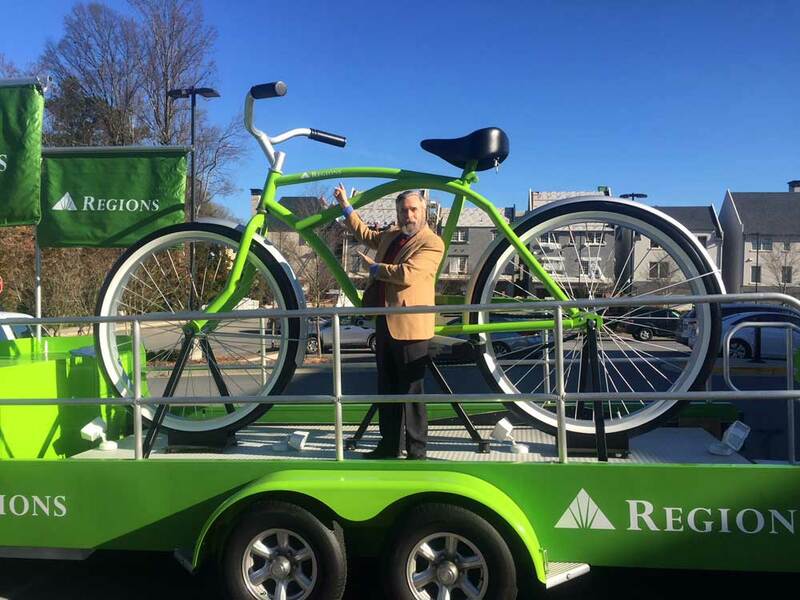 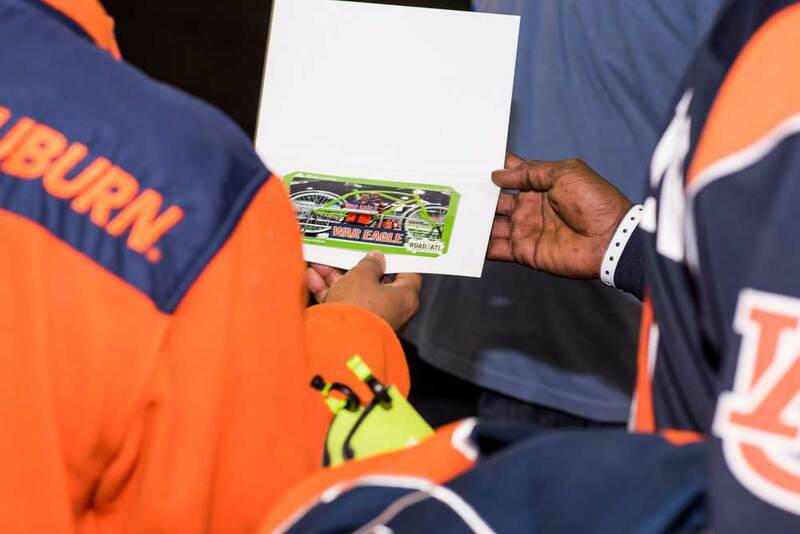 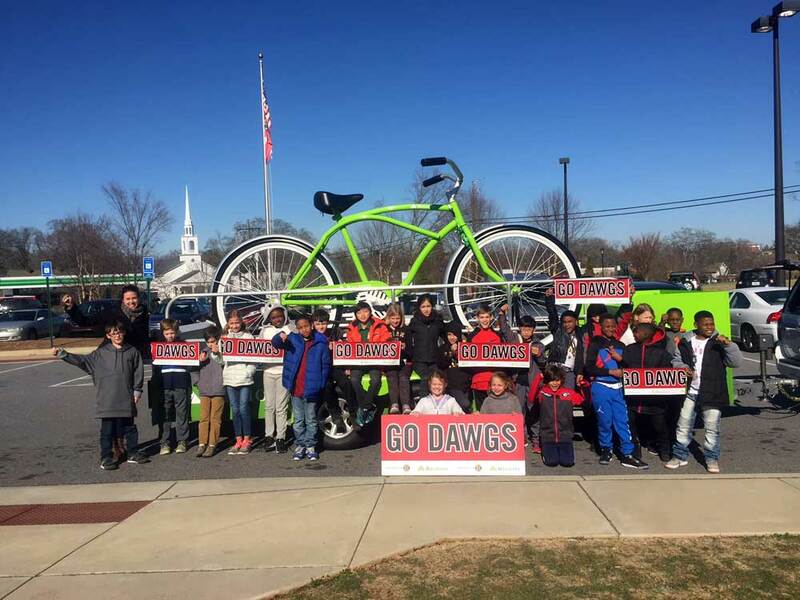 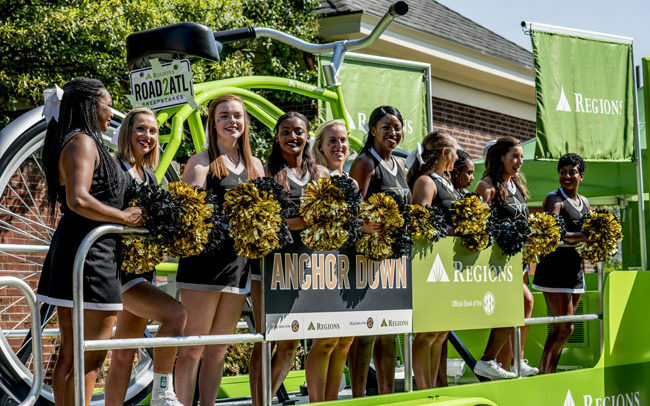 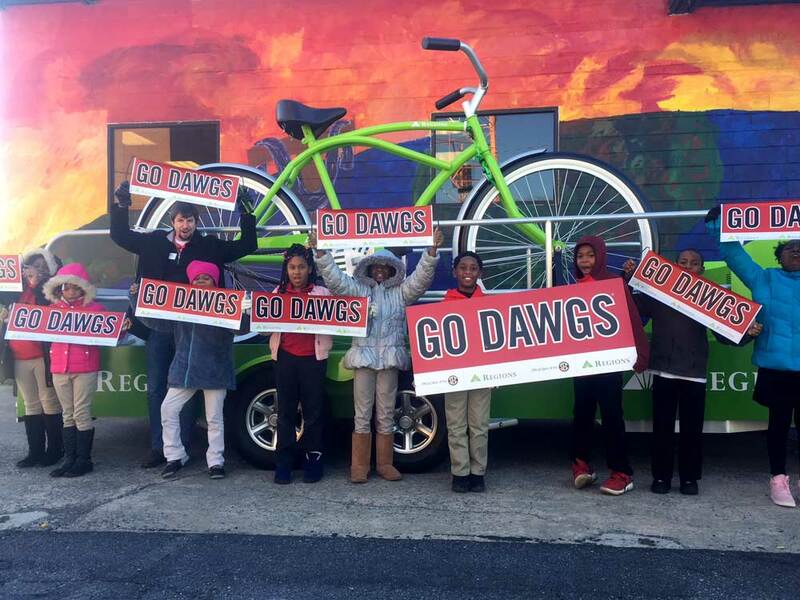 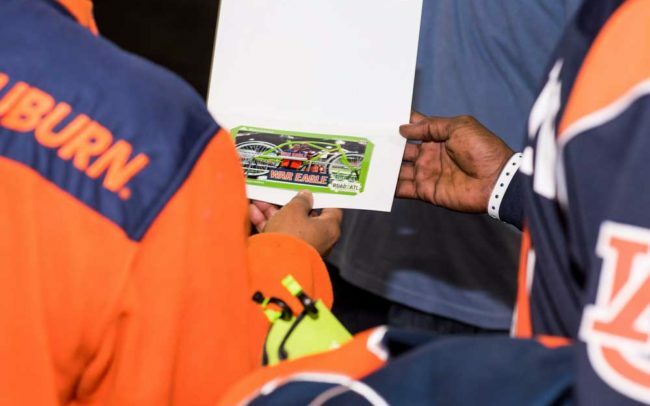 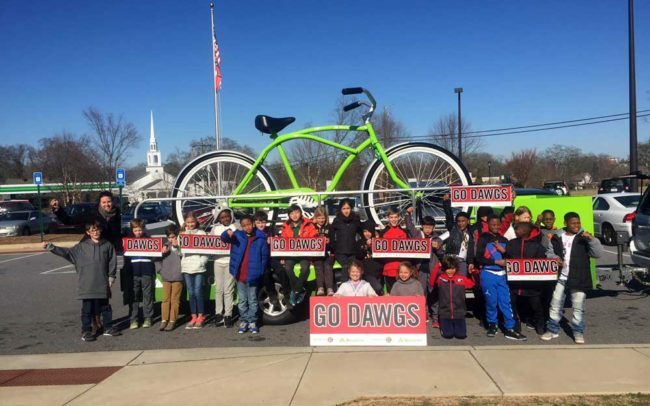 Regions and DDK Productions brought both big bikes in and around Athens & Atlanta to local elementary schools, Regions branches and high traffic areas for fans to see to take pictures in front of. 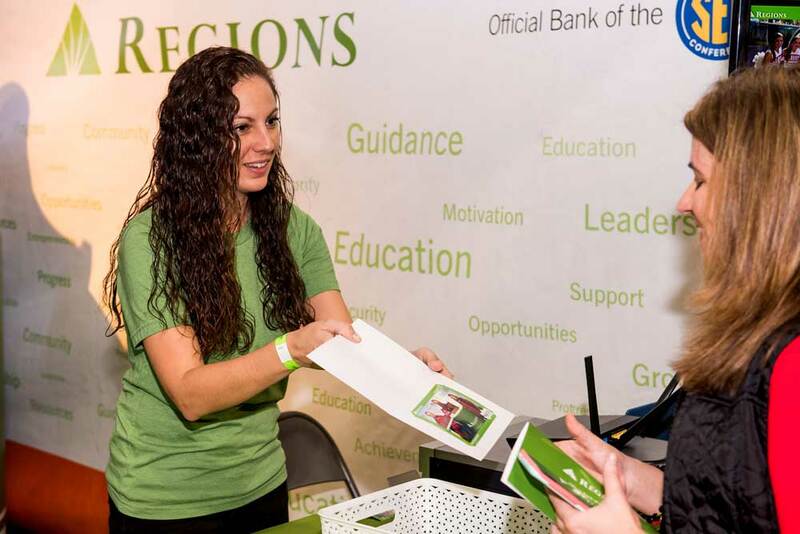 It provided great visibility and exposure for the bank in one of its key growth markets.